Creative Kids Preschool is designed to provide an emotional, social, physical and intellectual foundation for further learning. 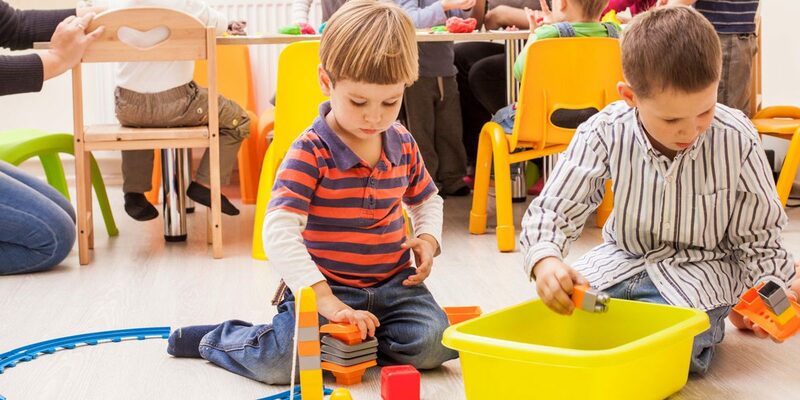 All activities in our PreK program are created to further develop fine motor, oral expression, problem solving qualities, self-esteem and responsibility, social interaction and physical movement. We offer this progressive program to suit the developmental stages of our three- and four-year-olds in preparing them for kindergarten. Our focus for three-year-olds is on their vocabulary/language, socialization and group interaction. The four-year-old portion of the program will add to that foundation with pre-academics such as our Phonics program. Creative Kids has flexible options to suit your family needs — the PreK program operates Monday to Friday from 9am to 12pm through the school year (September to June) and you can choose two, three, four or five mornings of your choice. Building on our PreK program, Creative Kids Extended PreK was created for those children who would enjoy more regular engagement and stimulation. The goal of the Extended PreK program is to foster the growth of the whole child. We strive to encourage positive peer relationships between the children, provide a mentorship opportunity for our four-year-old program and a progressive learning environment for our three-year-olds. They re-enter the program as a four-year-old the following year. Young children learn through play and exploring their environment and, therefore, our program offers “hands-on” learning experiences with a balance of relatively structured and unstructured activities. The children will have an opportunity to participate in dramatic play, math, art, science, a daily learning circle time with songs and stories, and indoor/outdoor play. Each week we will offer activities and materials that focus on a particular topic or theme that sparks the interest of young children. In Extended PreK, all of the activities from our PreK program are expanded and extended. This progressive program is offered to three- and four-year-old children with the option of two, three, four or five days a week of your choice. Creative Kids Extended PreK runs Monday through Friday from 9am to 2pm September to June.